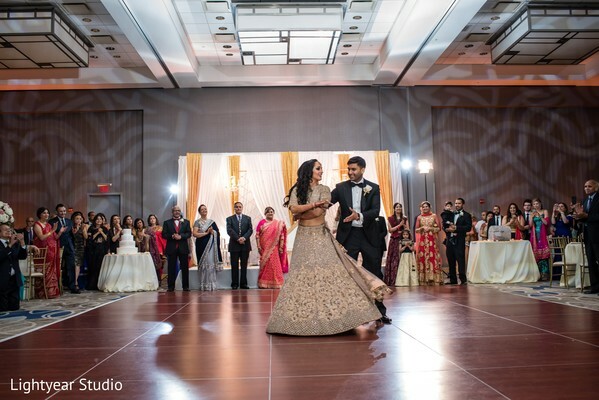 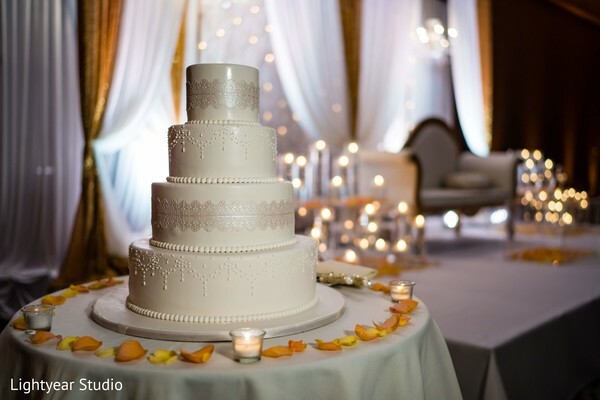 Ayushi and Nakul gathered their loved ones under the same roof at the Hyatt Regency Jersey City on the Hudson to make them part of their wedding grand finale! 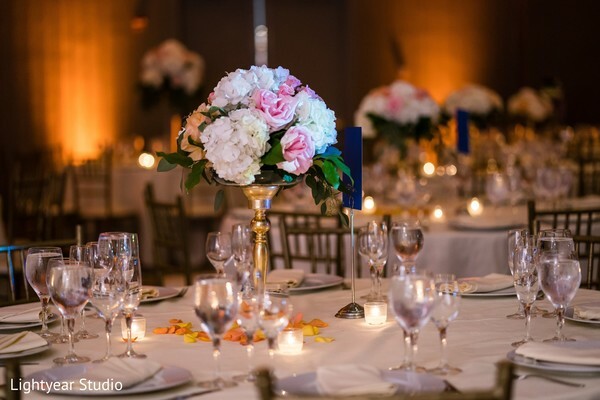 Touch of Elegance Events carried out all the details that provided every guest an unforgettable night of glitz, music, and food! 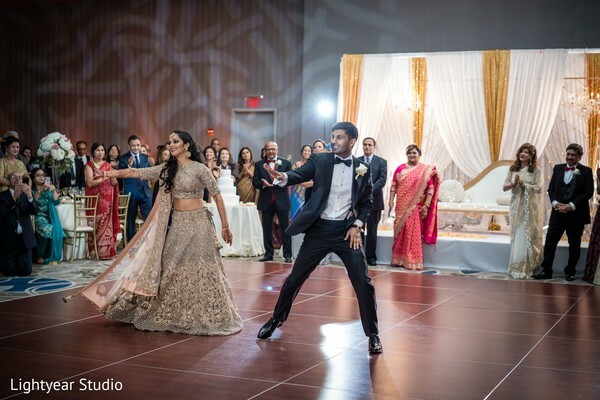 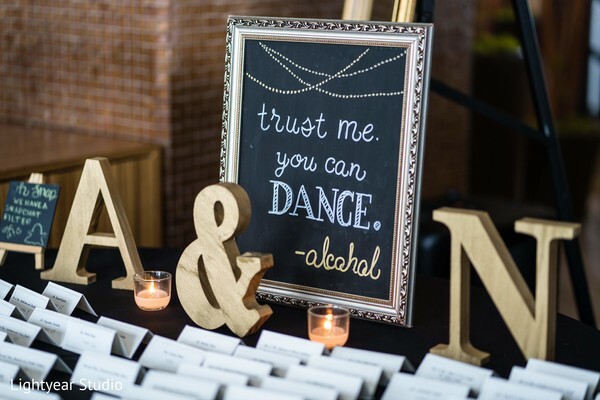 The energetic DJ Sunny Entertainment created a unique party experience within a sophisticated ambiance that reflected the couple’s unique style! 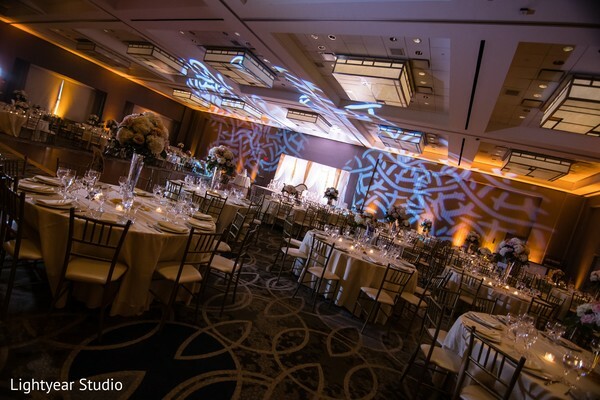 The entire hall was covered with finery, lavish décor elements and creative uplighting patterns that surrounded everyone as they danced! 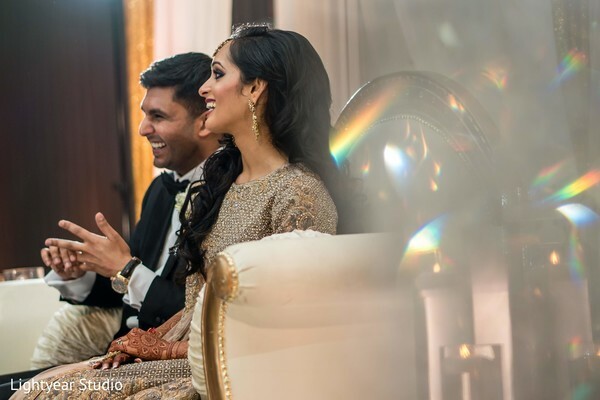 Bukhara Grill was a total crowd pleaser thanks to their refined traditional cuisine that completed the blissful night. 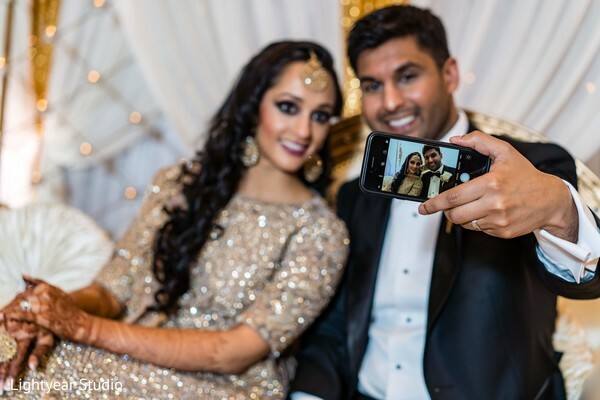 Maharani Ayushi stole the limelight with a fabulous champagne gown elaborated with exquisite sparkly embellishments, she looked feminine and gorgeous with the beautiful curl hairstyle Sonia C created for her. 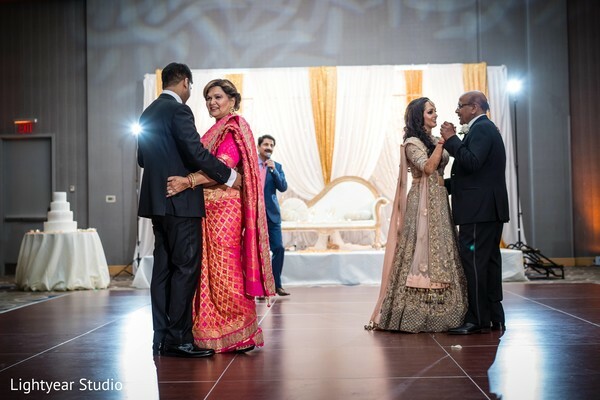 Nakul picked a classic tuxedo for his final wedding look and the talented Lightyear Studio captured the awesome outfits and more in the images you can explore in our full gallery! 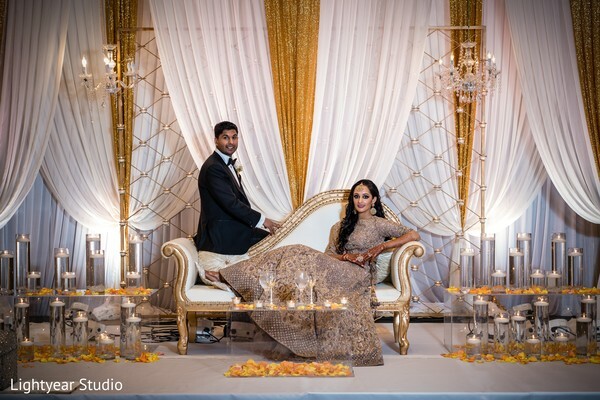 Take a sneak peek into the wonderful Indian wedding traditions through features, see you tomorrow!